Israel turned 70 this year and I’m going to celebrate by attending a few events this week! 1 . The Toronto Jewish Film Festival is taking place from May 3 to 12 and of course I’ve spent time studying the festival guide to make my selections and trust me this takes a bit of time! However due to the bad weather last weekend, I watched plenty of video clips and made my selections! Cool fact: one of the films being shown at this years festival (Doubtful) is currently in theatres in Israel. Also, don’t delay to buy your tickets. I tried to get into one film and it’s sold out. Lesson learned! Either order online or call 416 324-9191 (phone lines are open from 12 pm to 6 pm) or head to the Festival Box Office at 19 Madison from 12 pm to 6 pm. Click here to view the entire schedule. Naturally I’m going to the Cuisine event and I’m heading to the Music event too (just to mix things up a bit!!). This event is being held on Sunday May 6th at 730 pm at the Rex Jazz and Blues Bar (194 Queen St West). $20 Cash at the door on the night of the event. 3. I’m also determined to head to Parallel to eat some hummus and pita. I can’t think of a better way to celebrate Israels’ birthday. This restaurant has been on my radar since they opened and its about time I get there!! I also following them closely on Facebook and I’m hungry each time I see their posts. This time I stayed for 3 nights at the Centre Chic Hotel which is part of the Atlas Boutique Hotel Group. 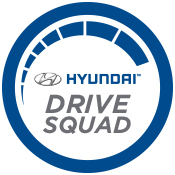 It’s worth noting that they have several locations in Tel Aviv, Jerusalem , Haifa and Eilat too. I fell instantly in love with this boutique hotel. 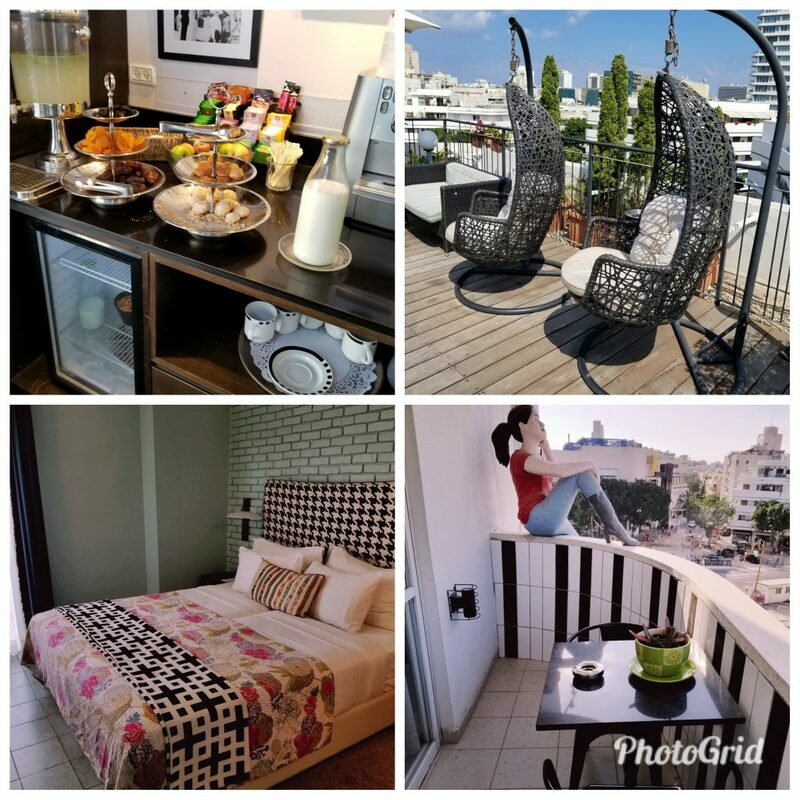 -the perks: free bicycles, beach bags with towels, and complimentary happy hour (wine and food), fridge in the room, cute balcony with a table etc. 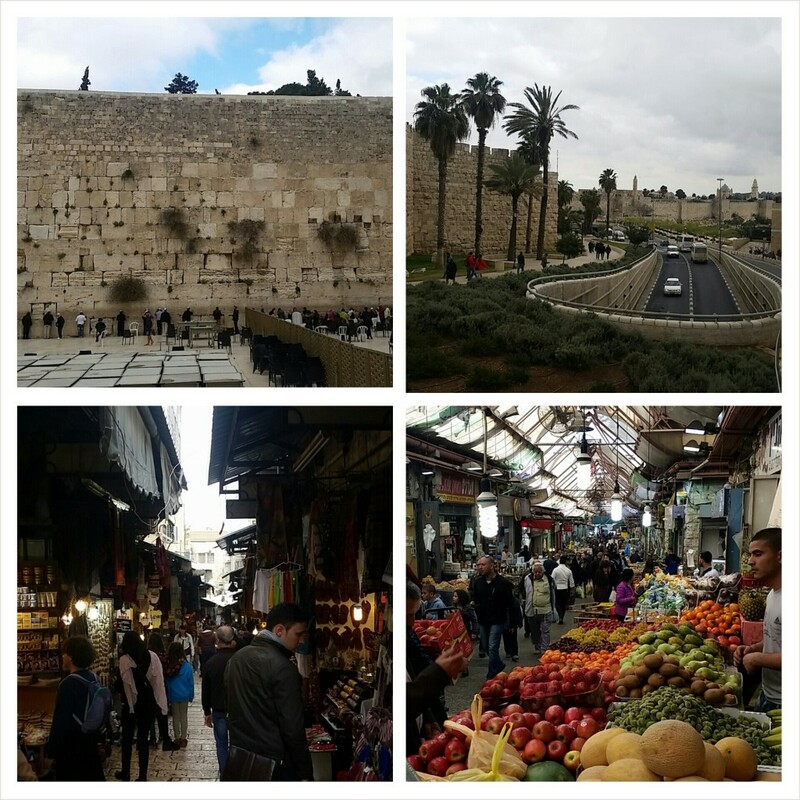 Of course I went to Carmel Market, Levinsky Market, Sarona Market, Mahane Yehuda Market and the Western Wall too. Sadly no time to visit the Tel Aviv Museum, Jaffa, The Port and many other tourist destinations. Sniff. 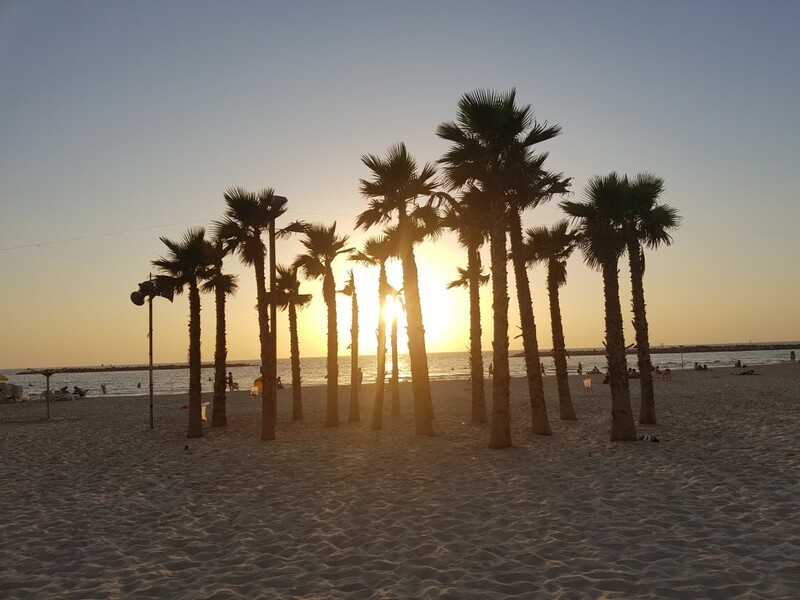 However I did make time to relax (for a change) and enjoy the wonderful beaches in Israel. I even went shopping and made it to the Azrieli Shopping Centre for my first time!! This mall has three floors of shops, eight cinema screen and approximately thirty restaurants, as well as the only H&M in Tel Aviv. There’s even an indoor viewing platform on 49th floor which will allow you to overlook the entire city. 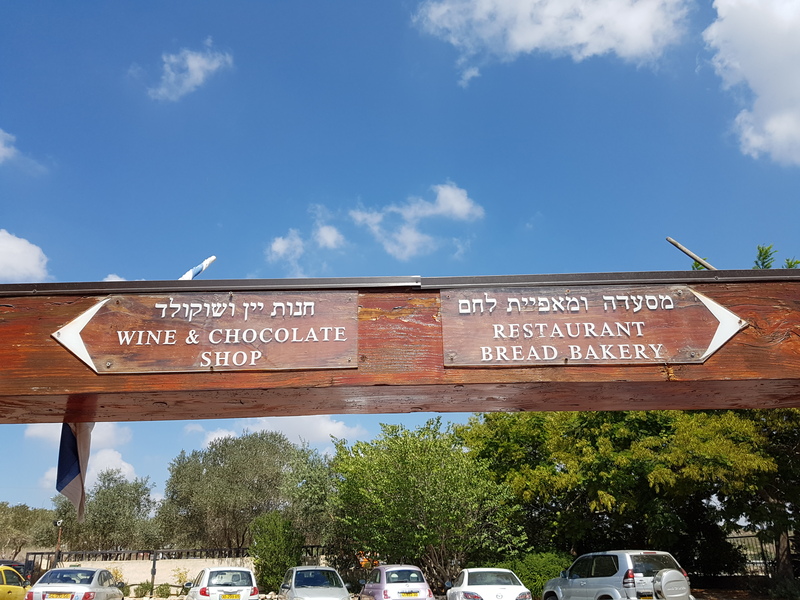 Where to Eat in Israel? There’s wasn’t enough time to connect with Delicious Israel (kicking myself) or Fun with Joel either. However I did enjoy a wonderful dinner with two Israeli food writers. I met Keren Brown on my last trip to Israel and we connected instantly. She wrote “38 Essential Restaurants in Tel Aviv” and this is definitely one list you want to refer to on your next trip to Israel. The other Israeli food writer that I met was Phylis Glazer who published the first vegetarian cookbook in Hebrew. How cool is that? Please click here to check out her YouTube video of the Carmel Market. –Magic Burger – for some reason we were craving a kosher burger. 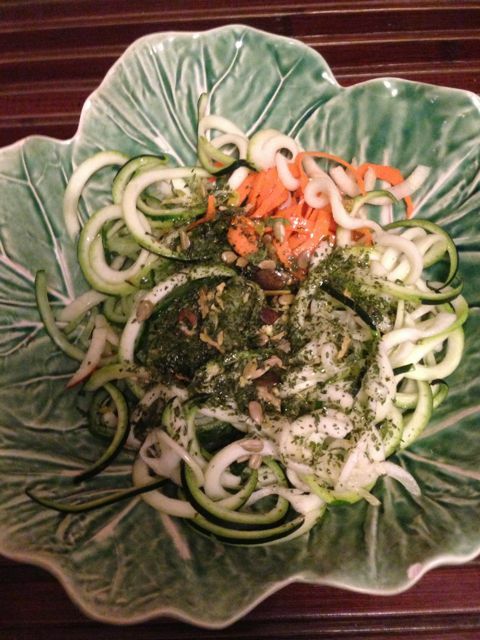 – HaAchim – great local restaurant that had a line up at 9 pm on a week night! The words: fresh and good quality come to my mind. 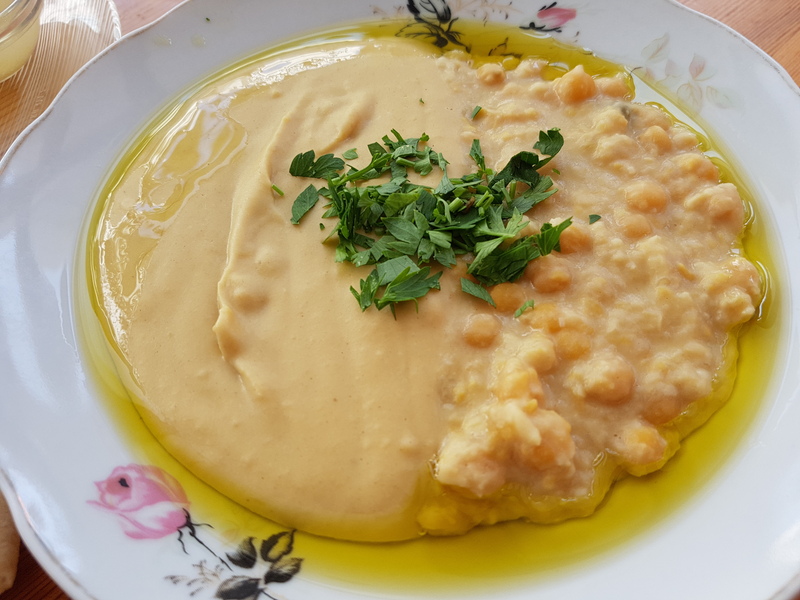 –Shlomo & Doron (in Carmel Market) for amazing hummus. Huge thanks to my Washington foodie friend, www.foodwanderings.com for the recommendation. 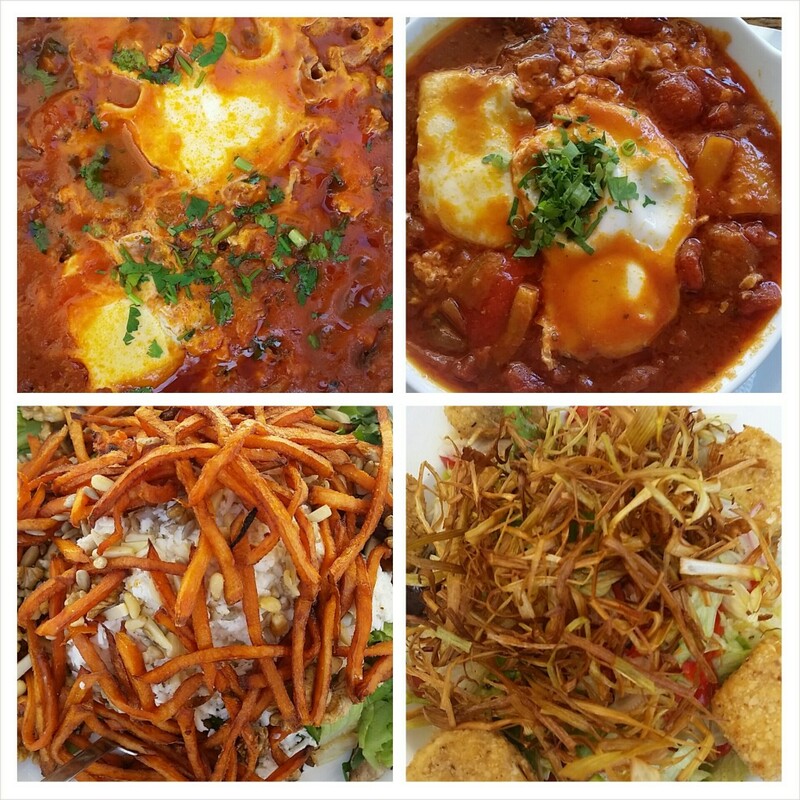 -During a visit to Machene Yehuda; I went to Jachnun a few years ago and I didn’t hesitate to return as his food is truly a unique experience. 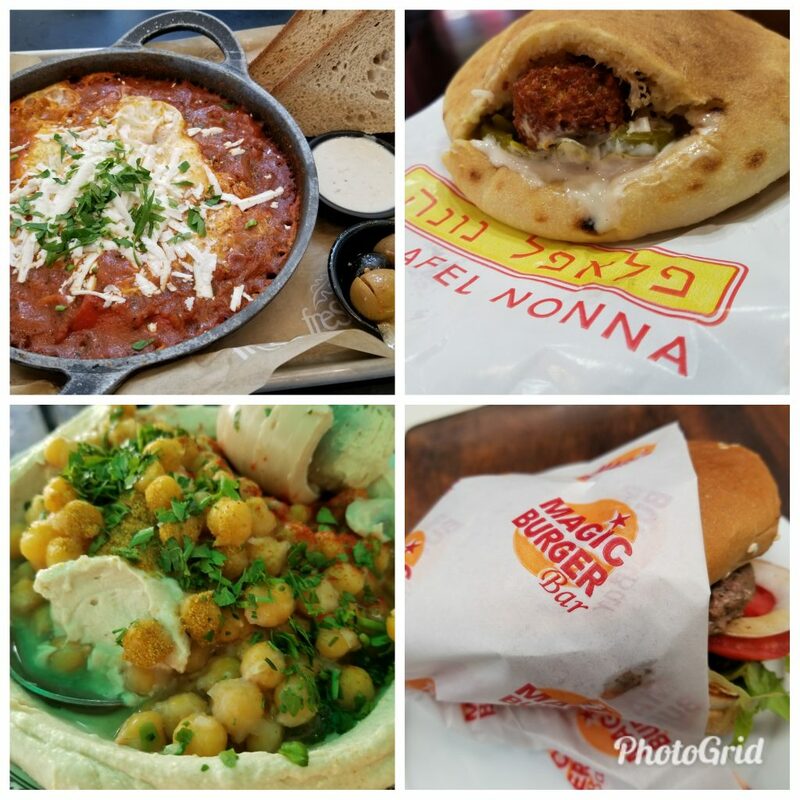 -While in Ra’anana; Falafel Nona…Finally I had a falafel. Hip Hip Hooray. 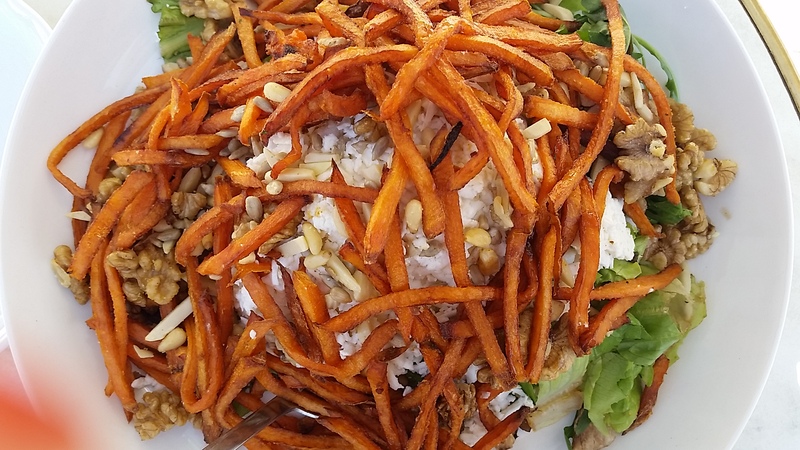 -While in Herziliya; Cafe Fresh for Shakshuka….A great way to end of my trip. As always, I’m looking forward to another visit to Israel. However I promised myself that my next trip will include more time in the north and south parts of Israel. It’s time to explore! (even though I love visiting Tel Aviv). I retuned from Israel on September 4th and lucky for me, I was able to feel like Israel was right here in Toronto due to an event held by Ezer Mizion. FYI….Ezer Mizion is Israel’s largest Health Support Organization Specifically, Ezer Mizion’s diverse line-up of services includes the world’s largest Jewish Bone Marrow Donor Registry and specialized programs for children with special needs, cancer patients, the elderly, and terror victims. 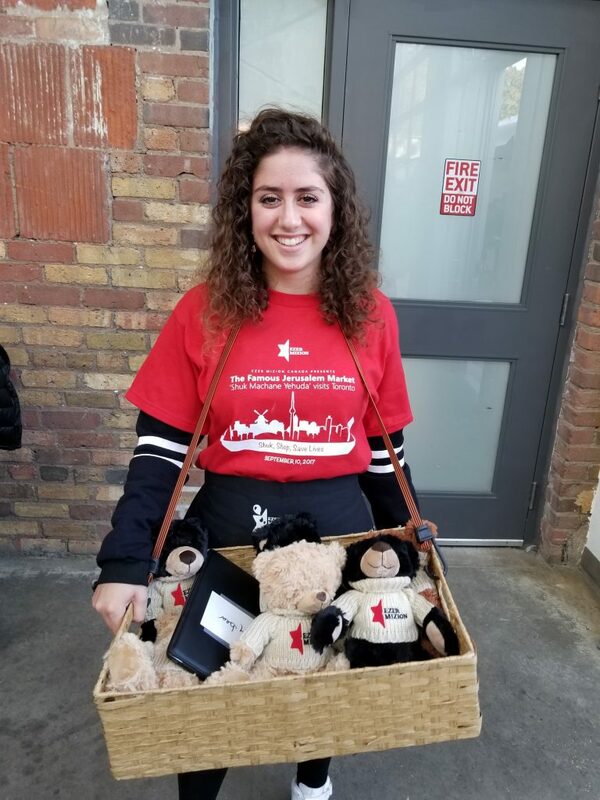 I was all to happy to find out that this incredible organization was recreating in Toronto one of my favourite markets: Mahane Yehuda. 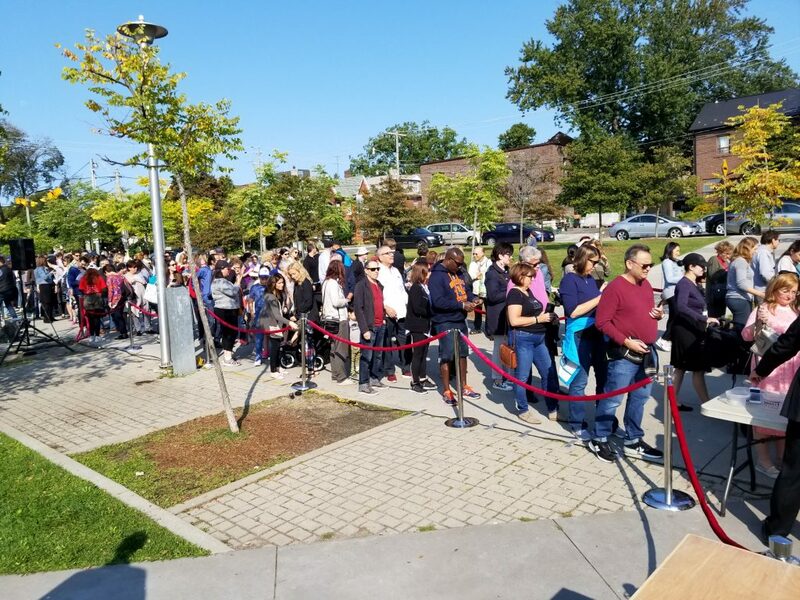 I knew the event was going to be popular and I was right!! Wychwood Barn had a massive line up outside (even though people had purchased tickets) right from the start. It would not surprise me (at all) if this event will take place in a bigger venue next year and perhaps over a Sunday/Monday of a long weekend! 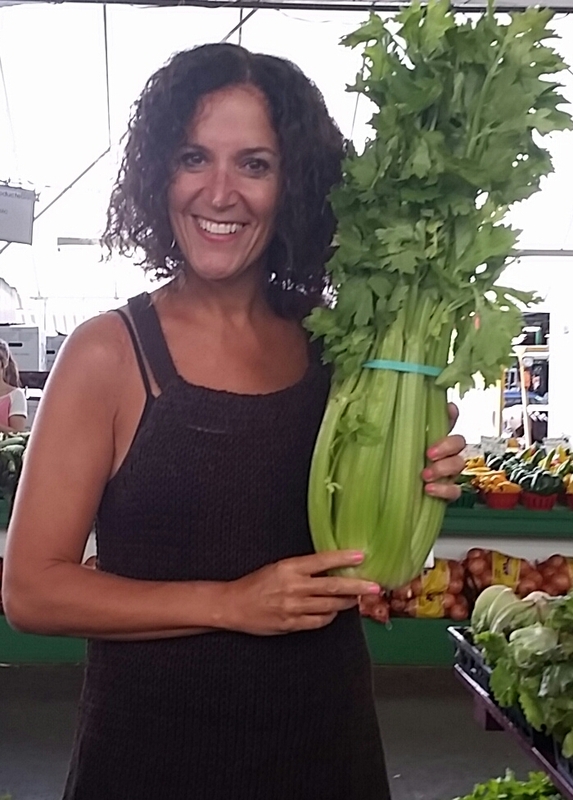 I couldn’t stop smiling when I saw my favourite vendors from Israel right here in Toronto. Seeing this vendor, really made my day! 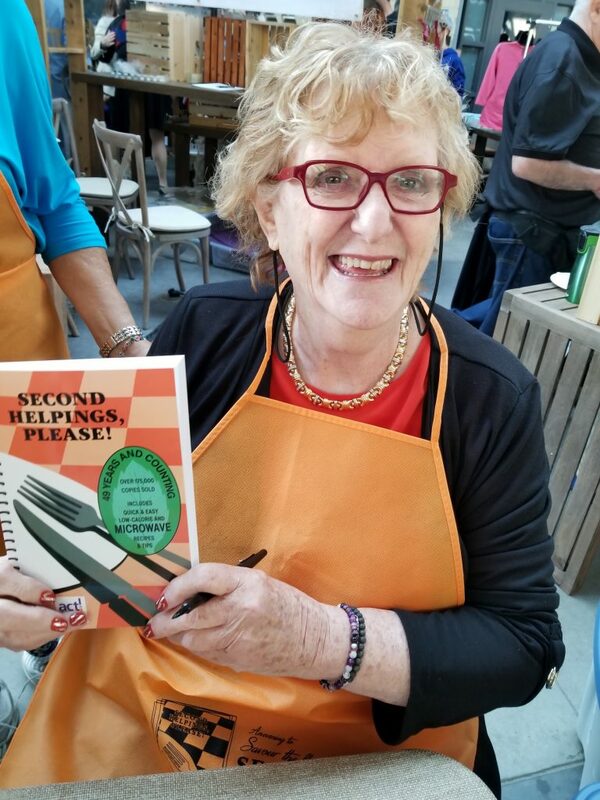 It was also a pleasure to meet Norene Giletz, who was selling her famous cookbook, Second Helping Please. 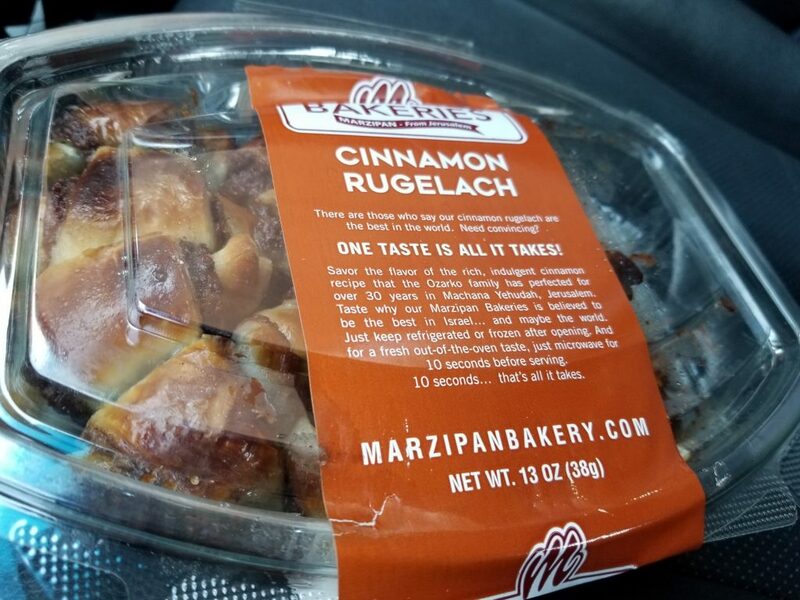 Naturally I had to buy these incredible Rugelach from Marzipan Bakery. I didn’t even blink when I found out the price. I overheard someone say: “I can’t believe the price” and I replied “Well they had to get here from Israel” and she came back with a pretty funny line: “They must have flown first class”. I had a good chuckle. I understand from facebook that they are still available at Kosher City Plus #justsayin’. 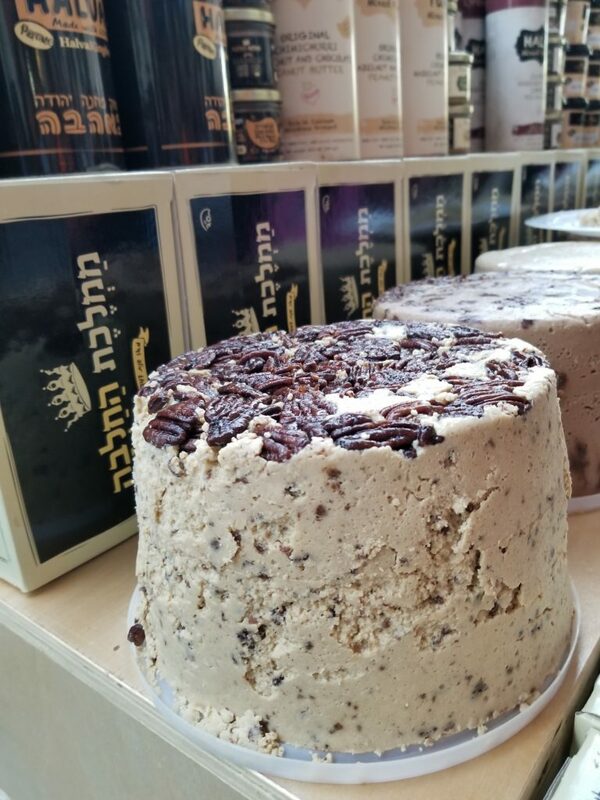 Seeing the Halva King also brought a smile to my face (and my tummy too). Congratulations to all the volunteers who organized this event. Looking forward to next year’s Shuk. 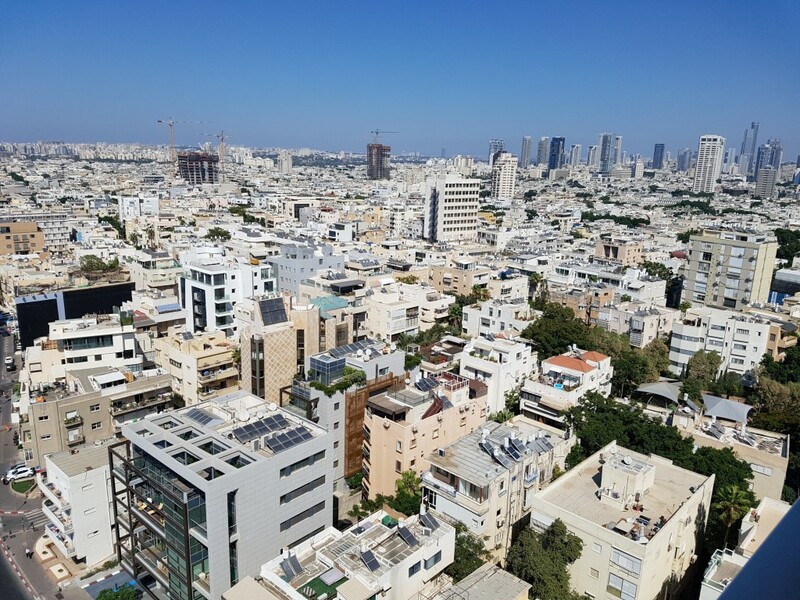 However over the years, I continue to stay at this hotel and to be honest I haven’t ever considered staying at any other hotel when visiting Tel Aviv. 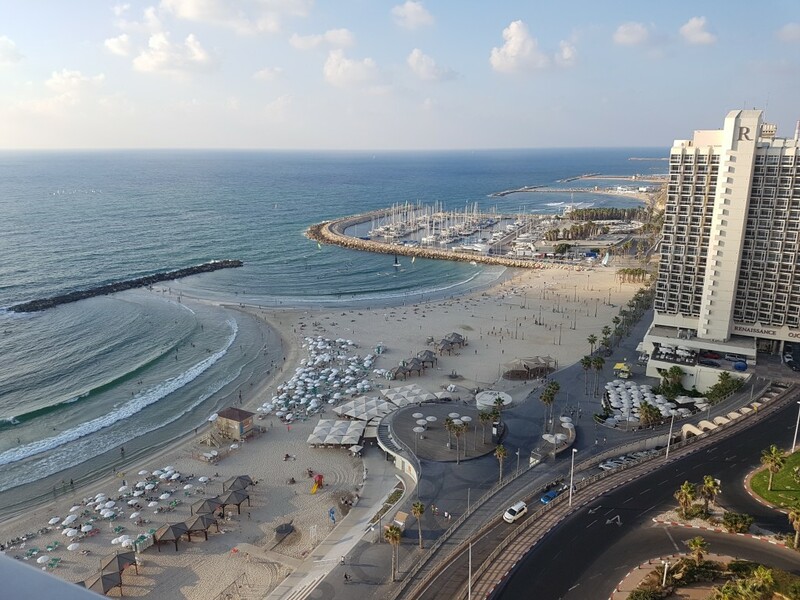 Plus I know many friends and family members who stay at the Sheraton Tel Aviv so I know it has a great reputation. Here’s just a few reasons why I continue to stay at this hotel. 1. The views: Need I say more? 2. 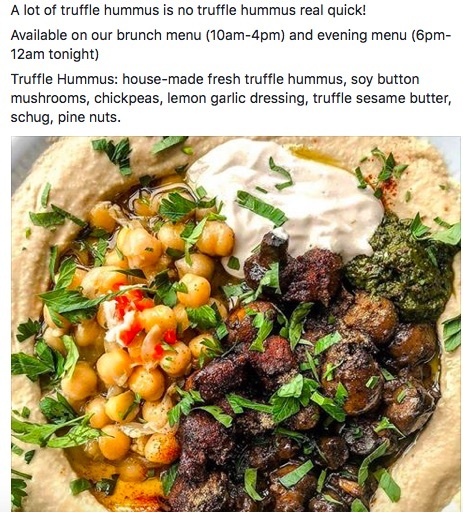 The Israeli Breakfast: This is a must so make sure it’s included in the price of your hotel. If not, it’s wroth the $$ to pay for it. The selection is unlike anything you have ever seen in an North American Hotel. You have been warned!! 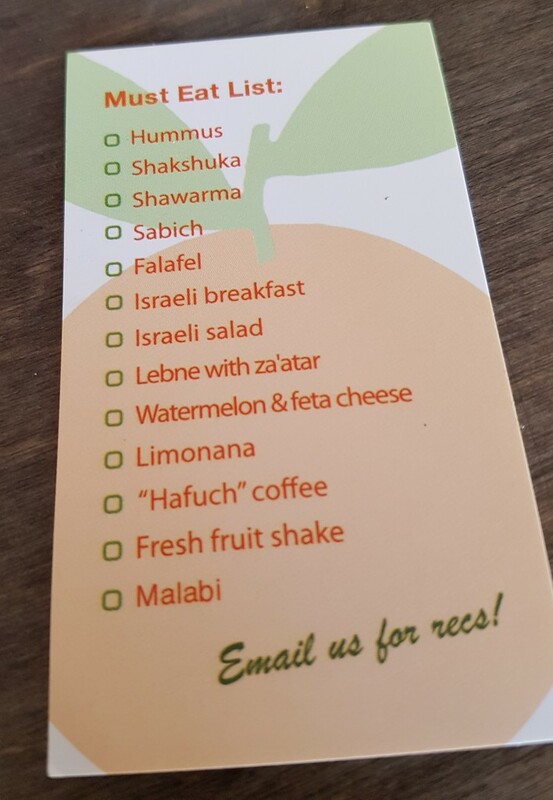 I couldn’t possibly capture the entire range of what’s offered at this Israeli Buffet however I can tell you that the ENTIRE restaurant is dedicated to it. Trust me – it’s a sizeable restaurant. 3. The pool/beach proximity: I spend most of my time at the pool however if you cross the street – voila – you are the beach!! As you can see, it’s a great place to capture the gorgeous sunset. 4. The service: Everyone was courteous and helpful – the bellboys, the front desk staff and front desk staff too. We had no complaints. 5. 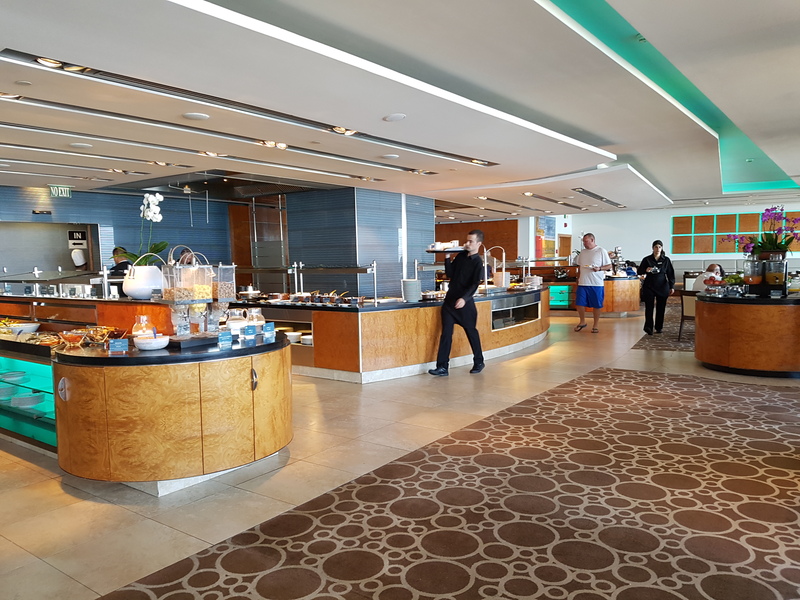 The Club Lounge: I’m not a world traveller however I have seen a few club lounges in my life and this one is the best ones I’ve ever seen. There’s food served all day long and an incredible outdoor patio to view the city. 730 am – We were picked up the Sheraton Hotel in Tel Aviv. As we drove up north, the tour guide provided us with some interesting facts about Israel i.e there’s more museums in Israel per capita than anywhere else. 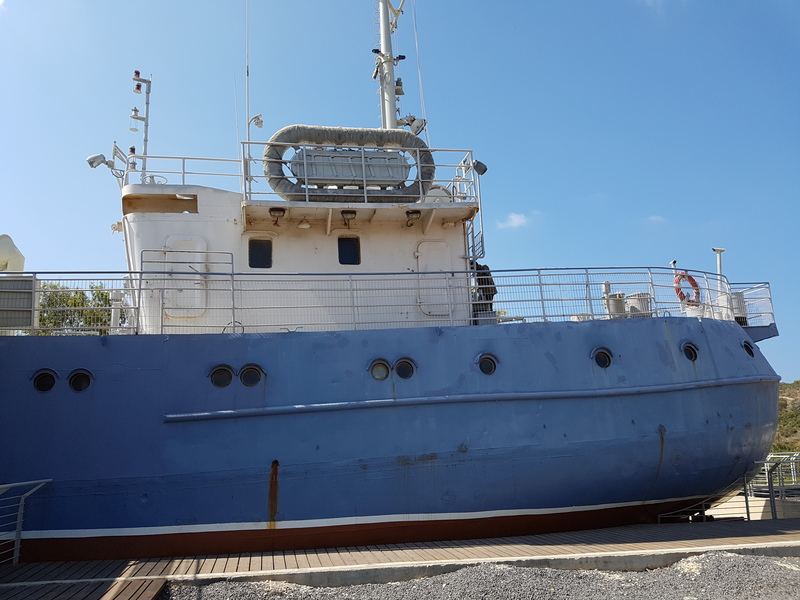 10:00 am – Arrived at the Atlit Detention Centre. where we had a guided tour of this national site which serves as an educational center for teaching the heritage of clandestine immigration. As you know I’ve been to Israel several times before but had never heard of this museum. What a great way to start the day. 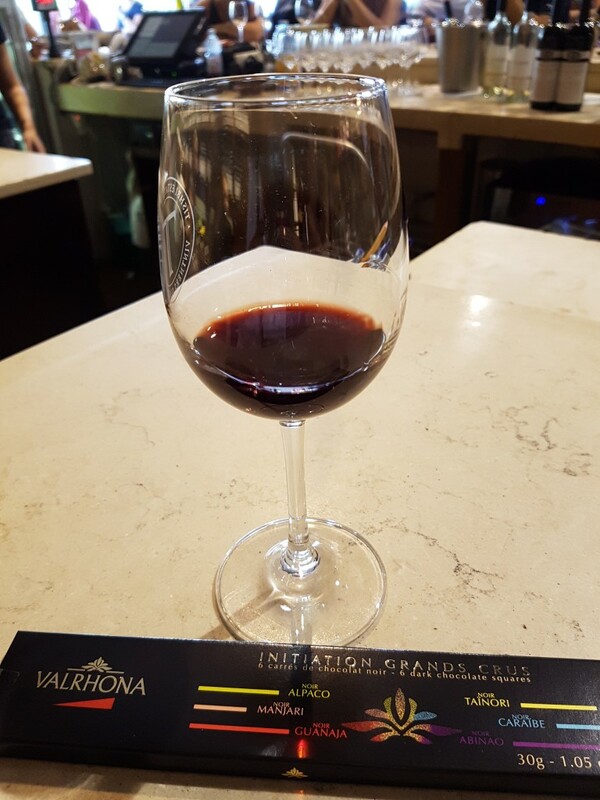 12:00 pm – 1:00 pm – Arrived at Tishbi Winery for a wine and chocolate tasting. 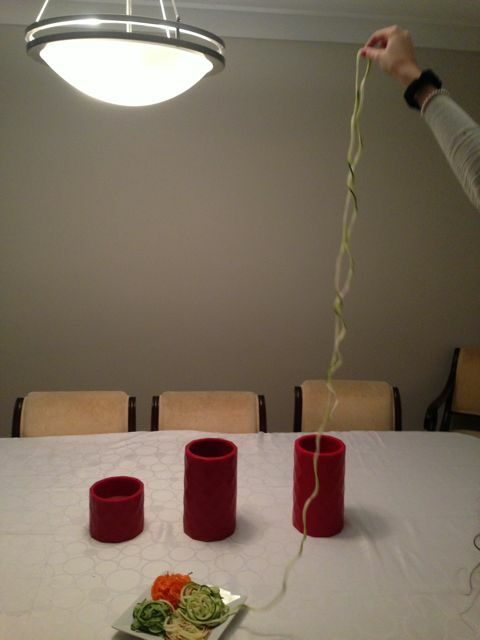 My cousin really knows how to impress her guests!! 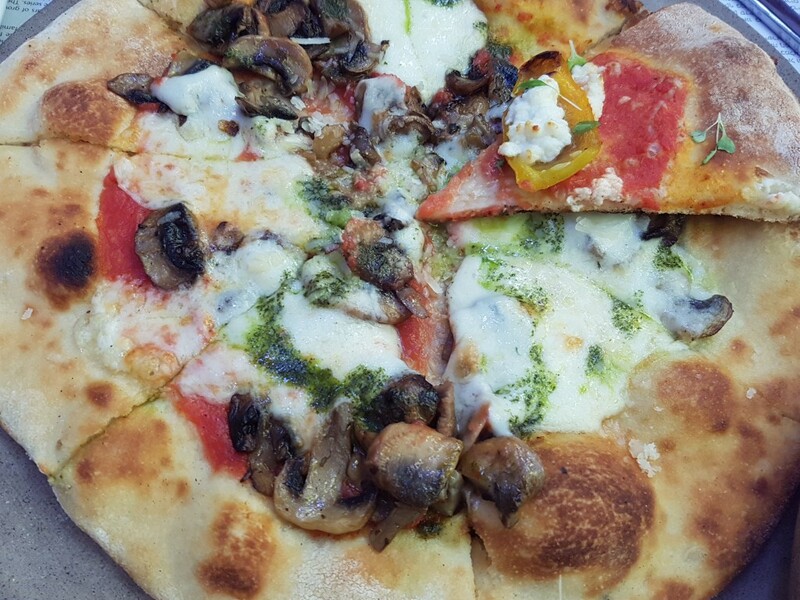 1:00 – 2:30 pm – We were treated to a delicious lunch at Tishbi Winery. So tasty. So fresh. Of course lunch involved more wine. 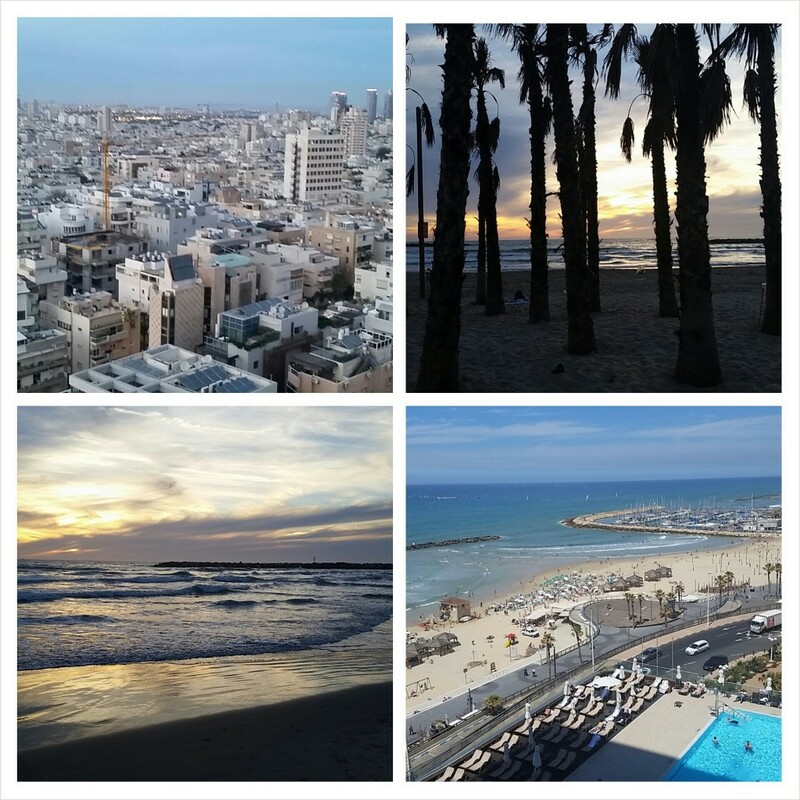 5 pm – We arrived back at the Sheraton Tel Aviv and went directly to the 18th floor to enjoy these views. Not a bad way to end the day. Huge thank you to my amazing cousin for organizing such a special tour. As you can tell I’m having a fabulous trip. I’ve been on food tours in Barcelona, Jerusalem and New York and I truly believe it’s a great way to discover a city. 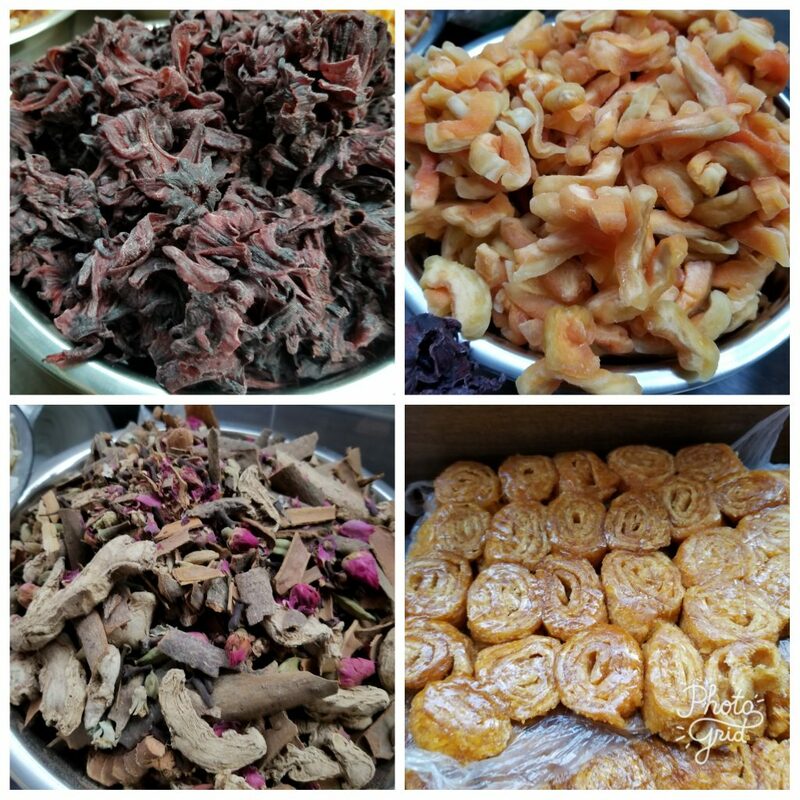 Therefore I was positively thrilled that I was able to go on a food tour of Levinsky Market with Delicious Israel. 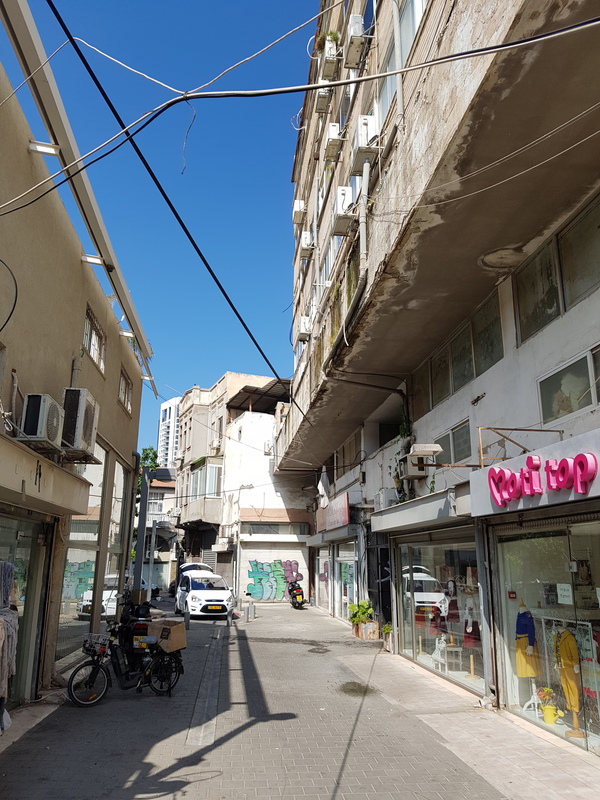 Even though I lived in Tel Aviv for 4 years and have visited Tel Avis several times in the last 7 years, this particular neighbourhood was never on my radar. This has now changed thanks to Delicious Israel who introduced it to me the other day. The tour was friendly and fun and consisted of a few tourists from the UK, France and the U.S. Our tour guide was a native English speaker and was super knowledgeable and clearly passionate about food. Not to mention that on this tour I learned a few things. 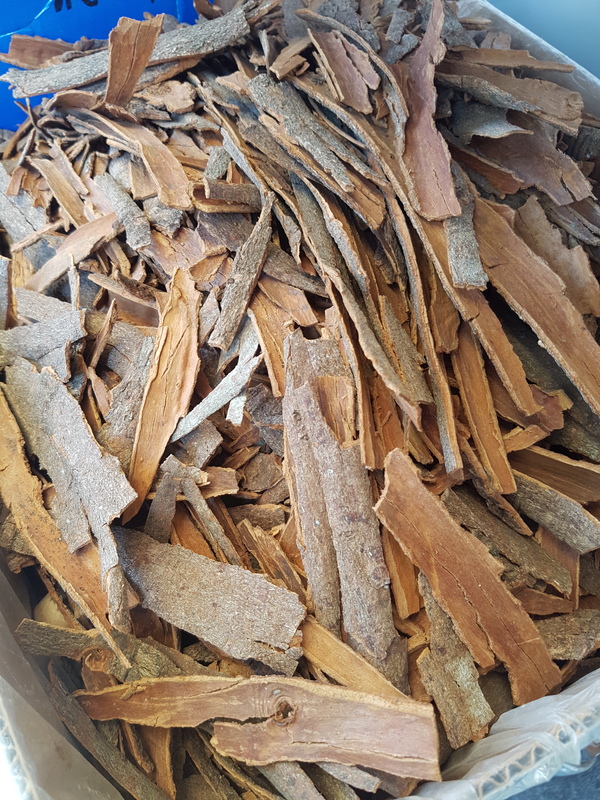 For example, I’m pretty sure I’ve never seen cinnamon that looked like this before. 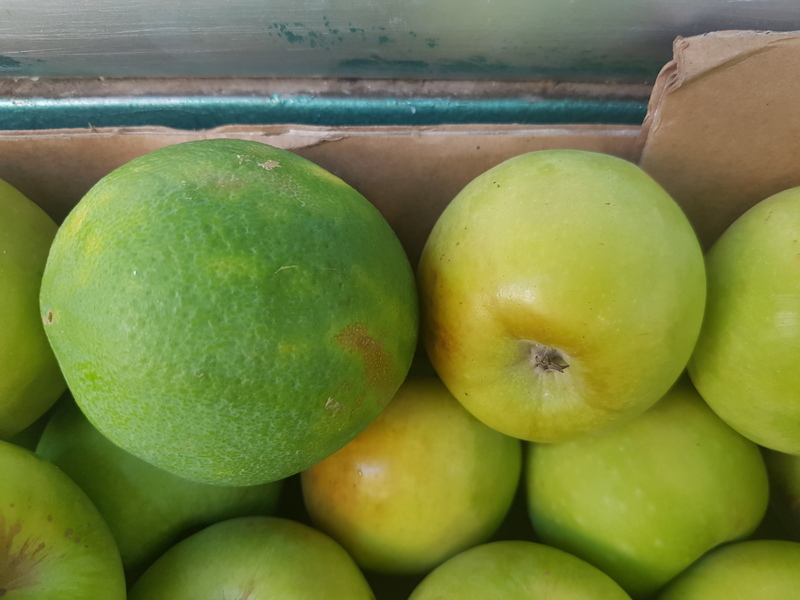 You see this green fruit next to the apple? Notice how its’ bigger than the apple? It’s an orange. ..not an over sized lime! How cool is that? Plus I ate the most delicious hummus that was WARM. Once again, this was something new for me. I really did learn quite a bit on this tour. The tour was certainly comprehensive and we were introduced to a variety of interesting spots in the Levinsky Market i.e a spice shop, bourekas, a hummus restaurant, a cool restaurant that served cured meats and craft beers, a famous bakery and more!! No one left hungry. At the end of the tour we were given cute business cards. I swear I’m going to try my best to get thru this list by Sept 22nd. Wish me luck. 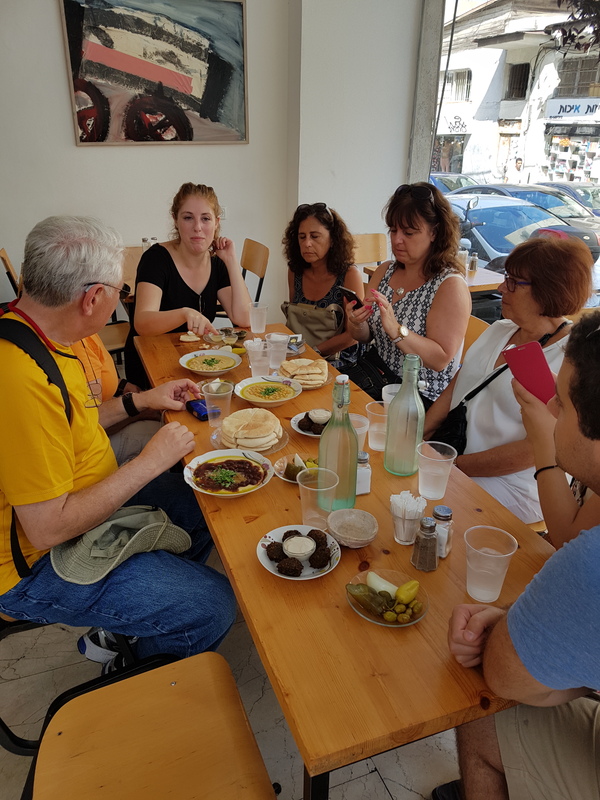 This company does more than just tours – in fact I really wanted to participate in on their “cook and shuk” tours but the timing didn’t work out. I guess this means I will have to book this for my next trip!! Please take a few minutes and click on their website. Not to mention that I highly suggest you book a tour on your next visit to Israel. You won’t regret it. Disclosure: This tour was complimentary however all opinions are my own. 1. My dinner at U-Feast at Campagnolo. I’m not kidding this restaurant had been on my bucket list for years. 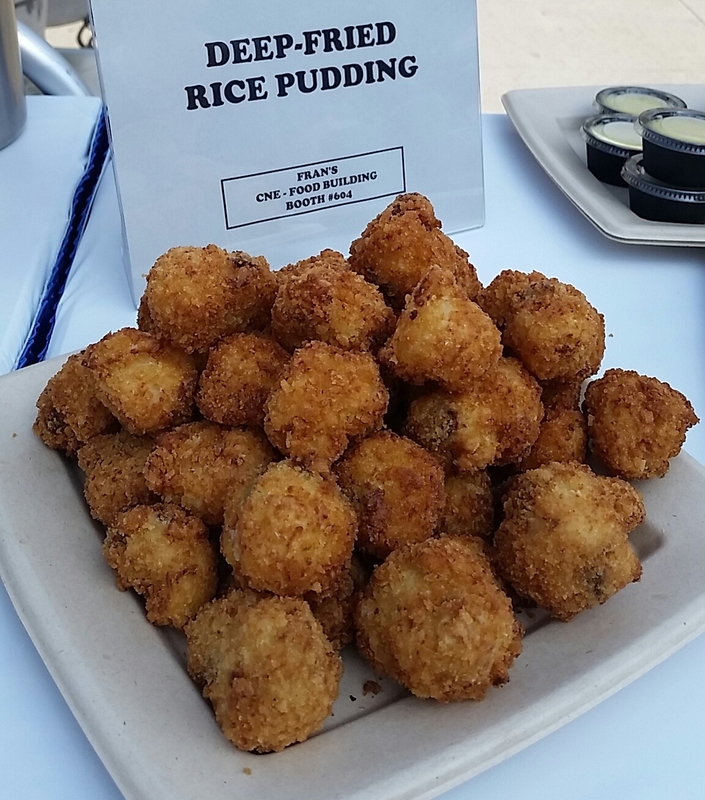 Thrilled that I was able to finally taste this dish. 2. ANYTHING at Bar Raval. However some of my favourites include the foie gras or this salad. 3. My job allows me to eat some amazing cheese so of course that’s a highlight! 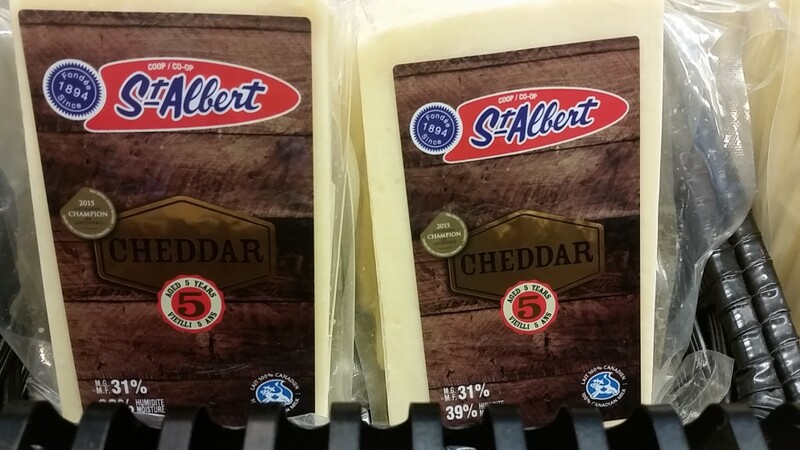 Specifically this 5 yr Old Cheddar Cheese, that was a Grand Prix winner in 2015. 4. The food at the CNE. This is one event I won’t ever miss. 5. Sweet Jesus! 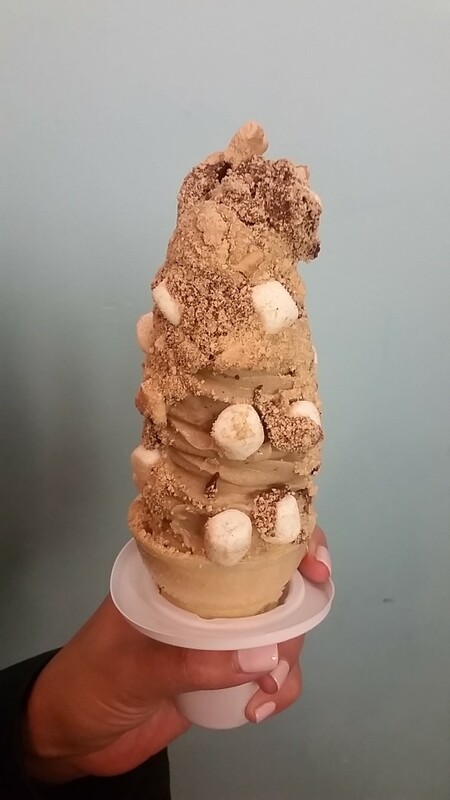 If you haven’t tried this soft serve then you really need to go there in 2016. Stat. 6. My trip to Italy. All I did was eat amazing food…everywhere. I had this particular charcuterie board for 5 EUROS, three times!! 7. My Trip to Israel. Again, all I did was eat. 8. The seafood tower at Harbour Sixty Steakhouse. It’s not cheap but definitely worth it. Sadly the dining room is so dark that I have no photos of the seafood tower even though I’ve been twice this year. 9. 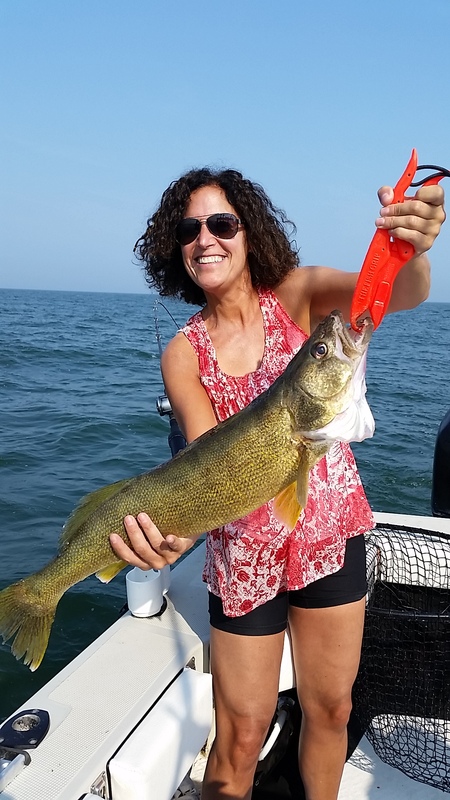 The fish that I caught on JP Fishing Charter that was served to me just a few hours after I caught it at Molly & Oj’s Restaurant in Erieau, Ontario. Nothing beats FRESH fish. 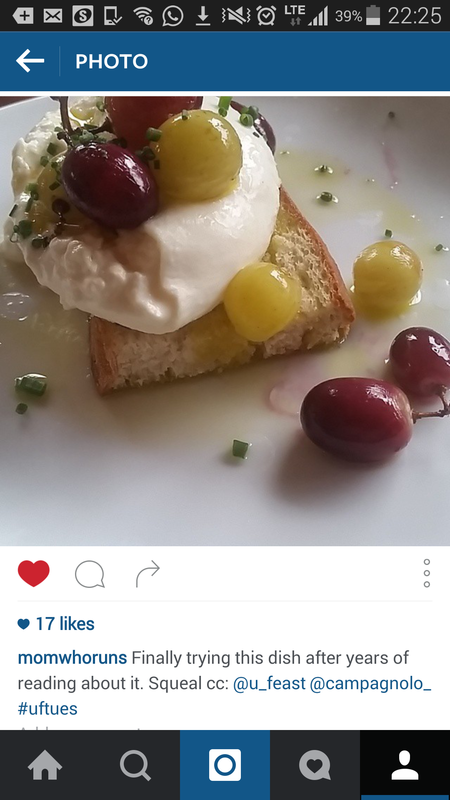 I hope to continue to eat fabulous food in 2016 and look forward to sharing my food adventures with you as well. I’ve kind of been missing in action these days as I went to Israel and Italy for two weeks. To say I was busy would be an understatement. I seemed to have visited 6 cities in 14 days…Amsterdam, Jerusalem, Tel Aviv, Florence, Venice and Rome. 1. 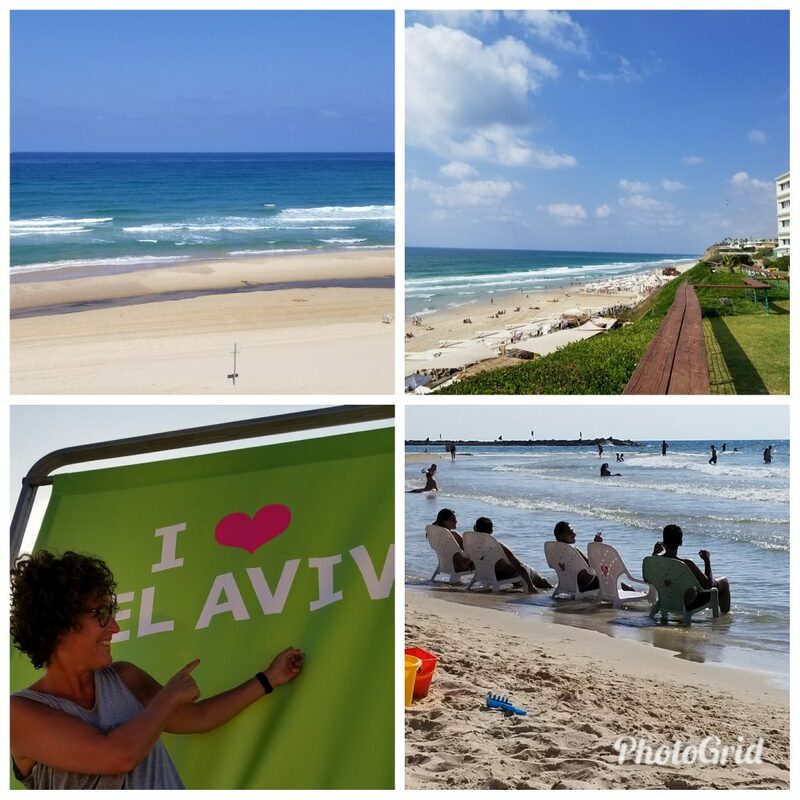 I had the opportunity to celebrate my 50th birthday on the Tel Aviv beach. 2. I got the chance to spend time with my daughter who is studying in Jerusalem, since Jan 25th. 3. I was able to celebrate the Passover seder with my amazing daughter and amazing cousins. This trip was by no means a “touring trip”. I was there to see family and friends and eat. LOL. What really blew my mind about this trip is how different it looks from 3 decades ago. 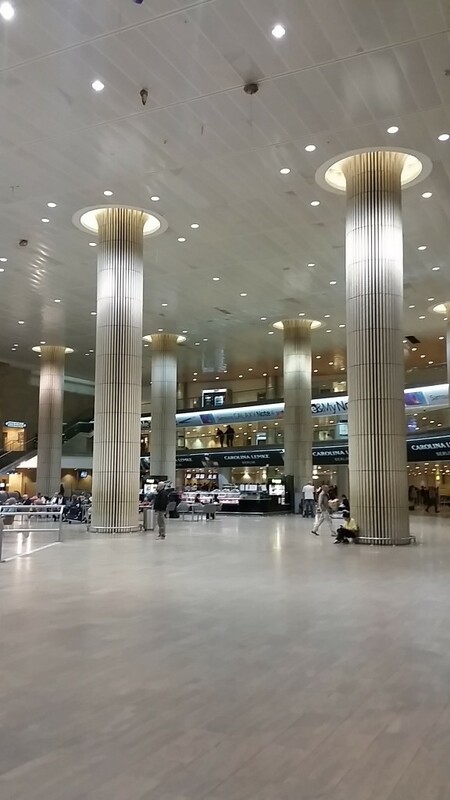 For example, their airport is one of the nicest airports I’ve ever seen. I could NOT have said this 30 years ago. Plus there’s no shortage of modern buildings either. 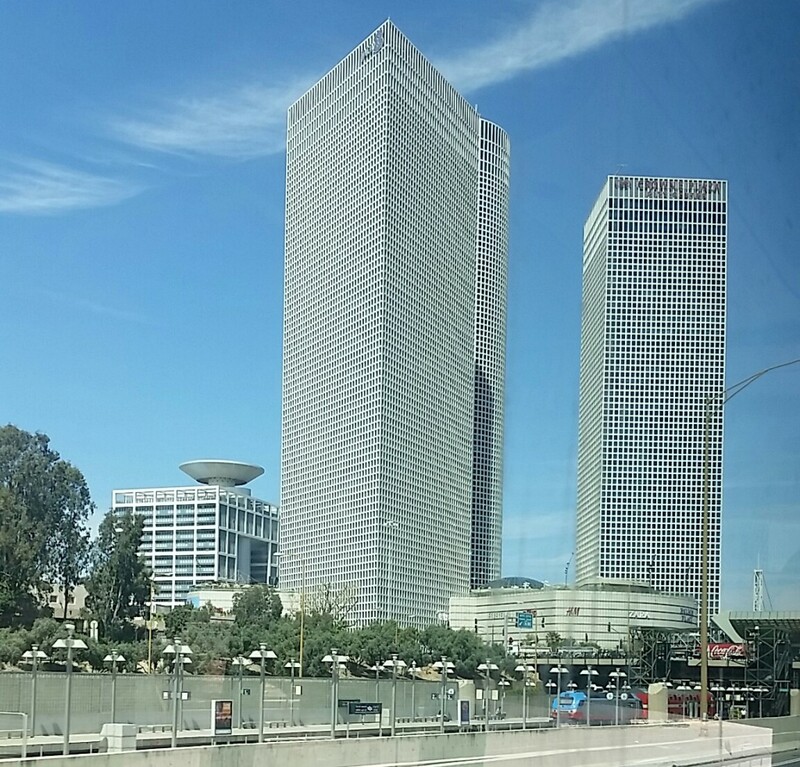 Take for example, this modern building in Tel Aviv. Naturally food was a big part of my trip and I tried to eat Shakshuka as much as I could. I discovered that not all Shakshukas are equal. In fact, I still think the Shakshuka at Dr. Laffa (3023 Bathurst St) right here in Toronto is the best one!! Israel is indeed a special place for me and I can’t wait to return. What a great 50th Birthday present. Thanks MOM and Dad! Pinch me…I’m heading to Israel and Italy. I’m super excited to be going to both countries. I’ve been to Israel (infact, I went to University there) but I’ve never been to Italy. 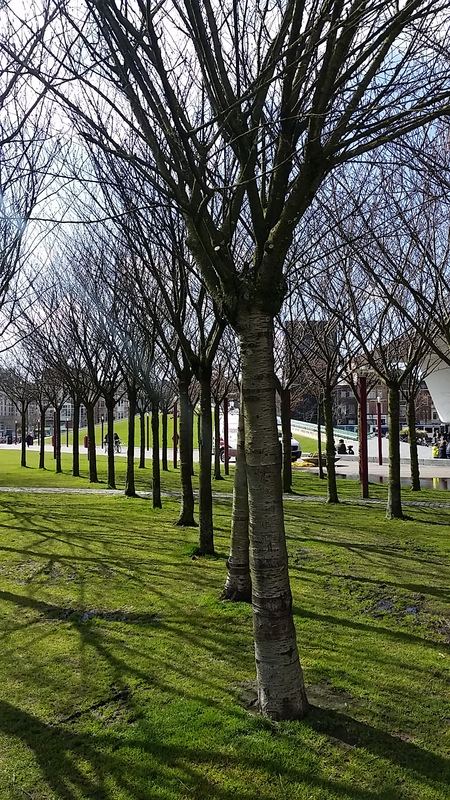 Plus I have a 8 hour layover in Amsterdam and used my time wisely to roam around the city. 1. 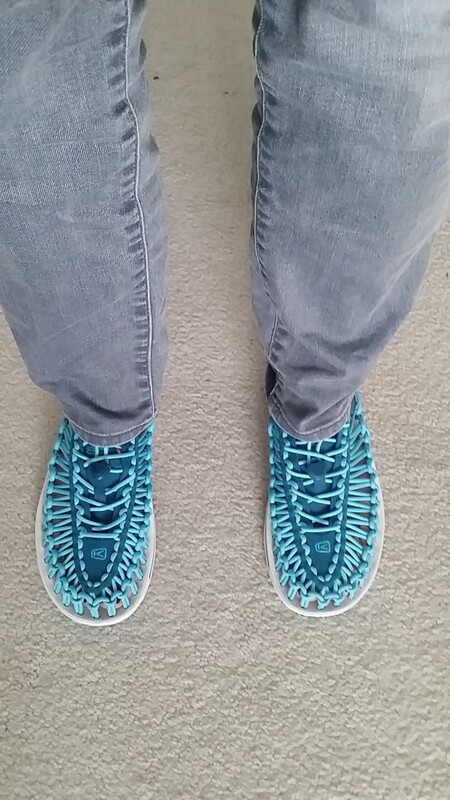 I’m going to be wearing these super comfortable and super light weight KEEN Shoes called UNEEK. I’m crazy about the design of these shoes too. Created from two cords and a sole, UNEEK offers an entirely new approach to footwear construction. I have no doubt in my mind, that I will be purchasing another pair in black. 2. 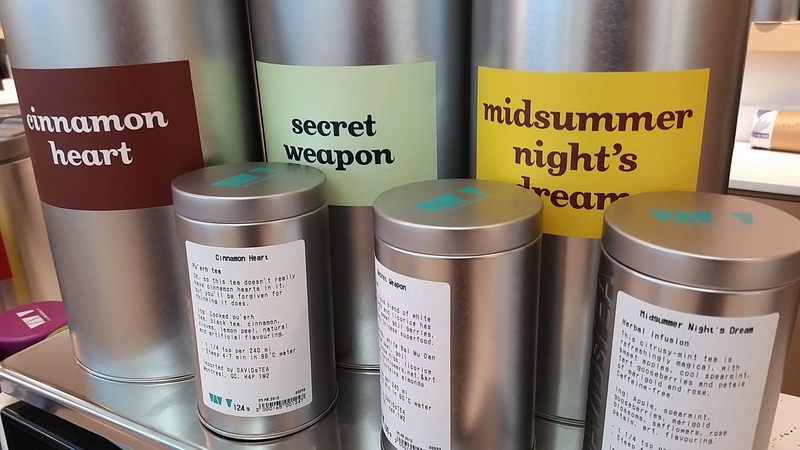 David’s Tea: These make the perfect gifts to bring to Israel, as they are easy to pack and unique. a) hanging with family members and friends. Sadly this is not a touring trip but it’s still going to be a great trip. In Italy – I will be visiting Rome and Florence and Venice too!!. I will be so busy that I think I might need a vacation when I get back. a) my Italian friends could not help me with restaurant suggestions as they always stay with family members. b) my Italian friends consistently told me: “Don’t worry – you can eat anywhere. The food is amazing EVERYWHERE”. c) I found out that my friends have a love/hate relationship with cities like Rome or Venice. Either they loved those cities or they said they were”too touristy”. Time will tell, how I will feel. e) Book as much as possible in advance…ie train tickets, museum passes etc. 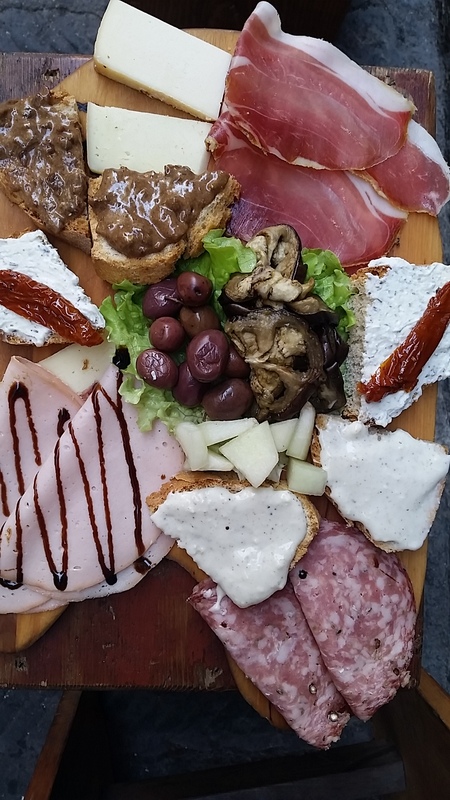 If you have any suggestions where to eat in Florence, Venice or Rome…BRING IT ON. I’m seeking the best coffee, best gelato, best food markets etc. As for accommodations: I will be happily using Airbnb throughout most of my trip. I had a great experience using them in Barcelona in 2013 and look forward to my using them in Jerusalem and Rome and Venice too!! Promise to keep you posted regarding my travels!! 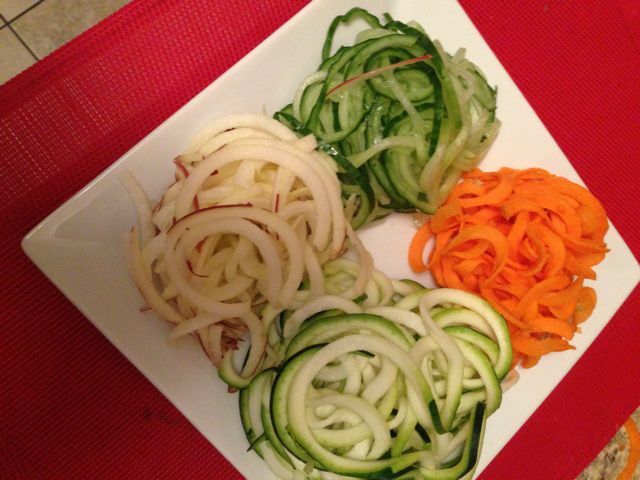 I went to a cooking class recently and at the end of the class there was a small discussion about the instructors favorite gadgets: Out came a Paderno Vegetable Spiralizer . Naturally when I got home, I did some research. Sure enough, I found one on Amazon for $29.75. I ordered it (without hesitating) and it arrived the next day. Yay for online shopping. I went out to the grocery store to buy a cucumber, carrot, apple and a zucchini, so that I could use it right away. I was pumped to use it…can you tell? The ribbons that you get are INSANELY long. Here’s proof. I sprinkled some lemon flavoured oil on it, as well as another product (mixed nuts that I picked up in Israel). 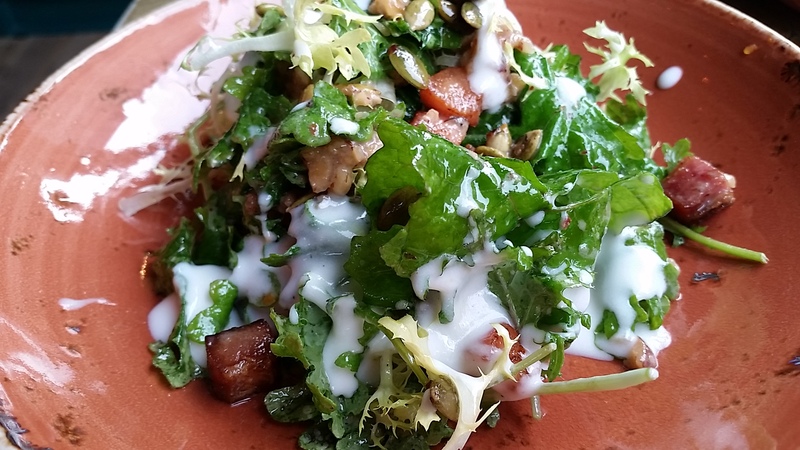 Bingo – I had an interesting salad in no time at all. 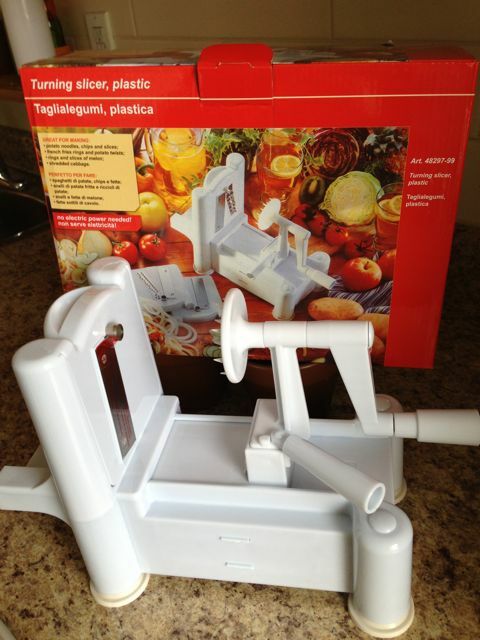 Trust me, I will be making more salads with my new BFF. Stay tuned.